Do you make or jar your own honey? 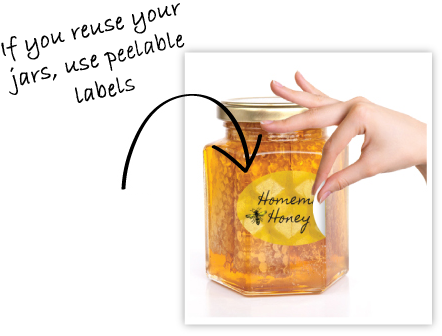 Whether you are a professional bee keeper, or a bee enthusiast with just a few hives, our sticky honey jar labels are perfect to label your own honey as a hobby or as a business. 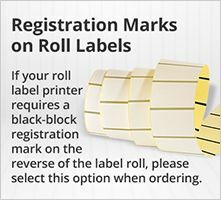 With A4 sized blank sheets suitable for printing on standard laser and inkjet printers you can design your own custom label depending on your needs. 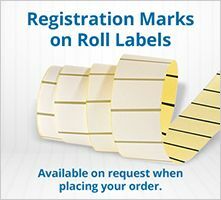 You may exhibit your honey at local fetes or competitions and need a professional and pretty label to attract attention, or you may sell your honey in local delicatessens – either way with the flexibility of our blank labels in a variety of colours you can be sure you have it covered. 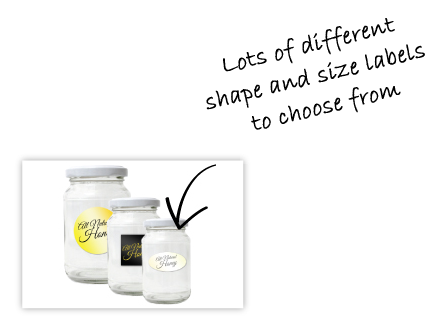 These stickers can be ideal for honey jars at weddings, in Christmas hampers, as gifts, or to label small honey jars to be used as breakfast condiments in hotels, local B&B’s or guesthouses. Do you usually have a problem cleaning your used honey jars because you are constantly soaking and scrubbing the existing labels? 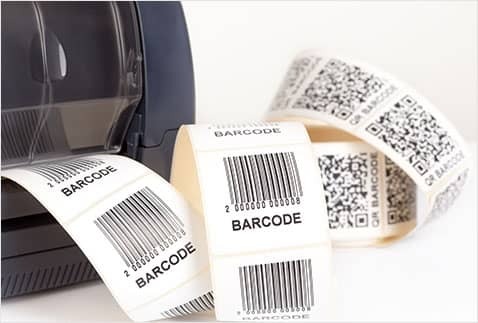 This problem is eradicated by choosing our peelable labels which simply peel off before washing without leaving any unsightly glue residue behind. 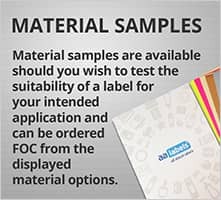 As all labels can be personalised and printed onto your own template, you can also choose to add a sell by or expiry date for your honey, or competition information for a county show, stall or fete. 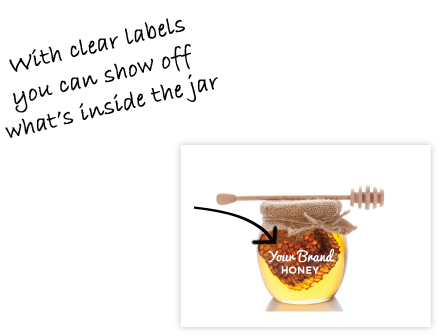 In addition to traditional honey jars, our labels can be used on a range of containers that display honey vinegar, honey beer, or cosmetics containing honey. 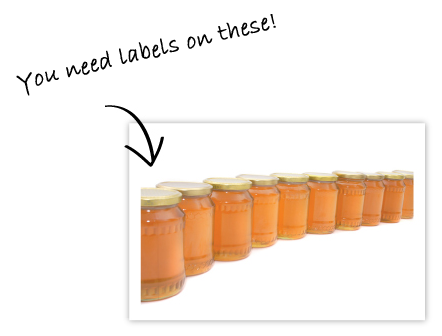 Because all honey starts as a clear liquid, but can granulate over time depending on the sugars present, our clear or transparent labels are great to showcase the beautiful colour of honey, whilst still being able to see the natural progression of the liquid. 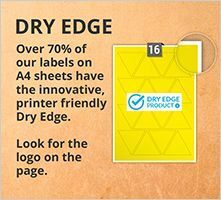 The AA Labels choice of honey jar labels can be used on a wide variety of different sized jars, including the traditional 454 gram jar, 1lb, 4oz, 8oz or 12oz jars. 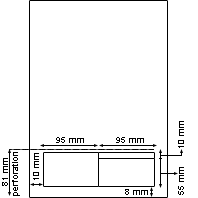 They can also be used to label traditional cardboard honey gift boxes which hold 2 or 3 jars. Are you using glass jars by Thorne, Ermetico, Freeman Harding, Compaksouth or Frenchflint? The labels we supply are suitable for use on all of these manufacturers' jars, as well as traditional panelled honey jars. 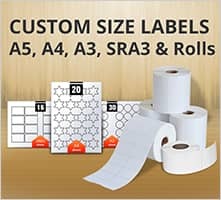 Our self-adhesive labels are extremely universal and are perfect for circular jars, but will also stick onto traditional hexagonal honey jars without peeling off.